On the night of December 8, 1990, at the Mabee Center in Tulsa Oklahoma, it felt hallucinatory to see the greatest rock band of all time performing live. An enthusiastic audience of thousands of fans chanted a name: Angus, Angus, Angus. Things got intense the moment the lights went down, and soon after AC/DC took the stage like a powerful and overwhelming thunder. Angus and company tore the place apart with their powerful rock n’ roll, setting straight once and for all the question of who rules the stage. AC/DC is real rock n’ roll, and rock would simply not be the same without them. I attest that AC/DC created rock and their live concerts are the closest thing to immortality. 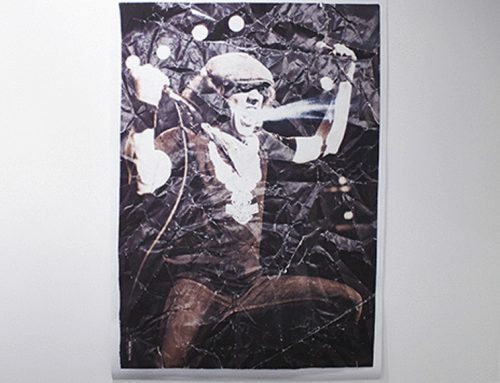 For those About to Power is Abdul Vas’ first monographic publication inspired by the power of AC/DC. 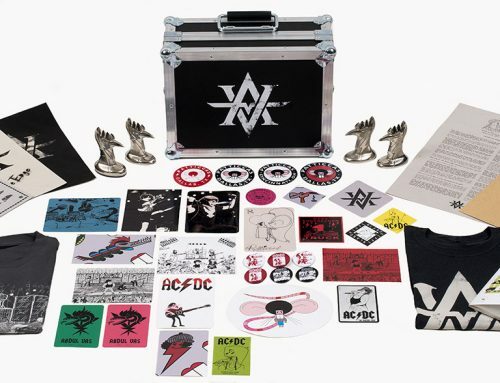 For over a decade, after attending 32 concerts of the band, Vas has gathered different materials including drawings, paintings, installations, collages and photos of AC/DC. 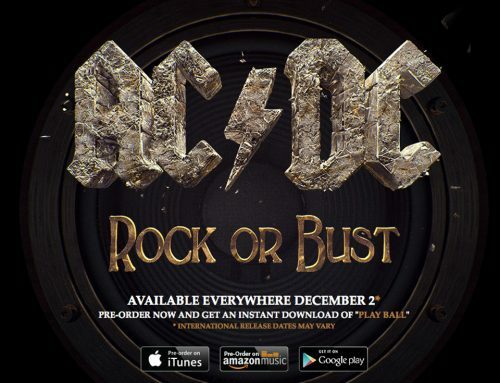 Octavio Zaya was in charged of leading the Project during the editing process, finding the most efficient and precise path without altering or changing the admiration Abdul Vas feels for AC/DC. Zaya simply knew how to bring together the obsessions that Vas has for trucks and for AC/DC. 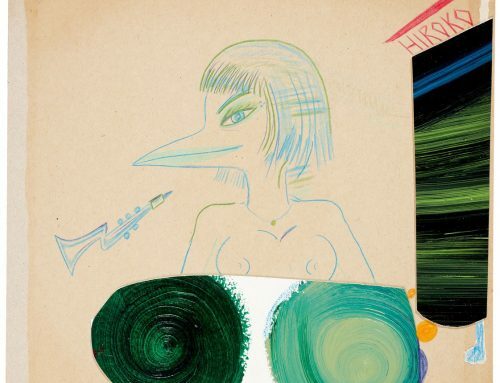 The book will be released worldwide on June the 26th, and there will also be a special limited edition made for collectors which includes 4 stickers, concert posters, backstage passes and more.